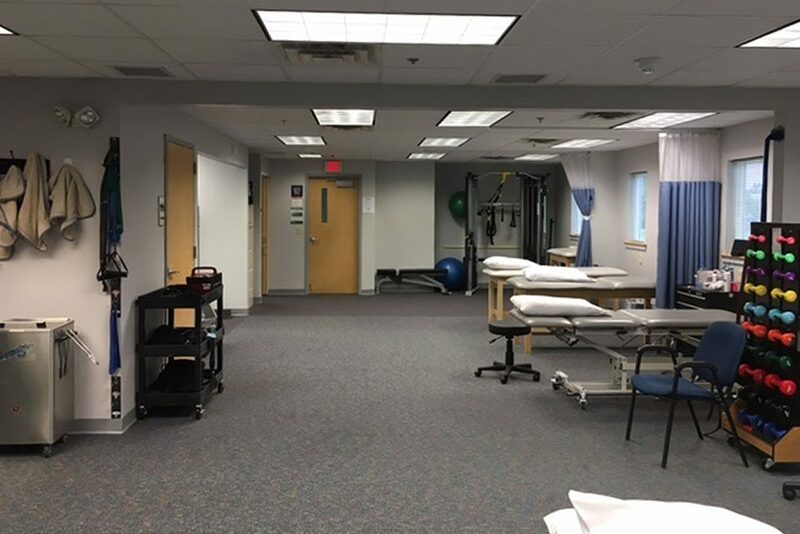 Portsmouth Physical Therapy is conveniently located at Martin’s Point in the Pease International Tradeport. If you have an injury, recovering from a joint replacement, or you are suffering from any type of pain, we can help. Our physical therapists are highly trained in the latest treatment techniques and offer only evidence based approaches in treating musculoskeletal injuries. Our therapists have advanced training in dry needling, soft tissue cupping, Instrument assisted soft tissue mobilization, therapeutic, non-thrust mobilization and spinal manipulation. We deliver the most clinically effective and most evidence based physical therapy with a goal of getting you better in the quickest and most cost effective manner. If you or a loved one in the Greater Seacoast NH area need physical therapy services, give us a call. Outcomes from FOTO: Focus on Therapeutic Outcomes, Inc. Patient centered, self-reported outcomes are the gold standard in measuring functional improvement and satisfaction. Our outcomes are compared to over 30,000 other physical therapists internationally with over 17 million total patient encounters. Attitude Starts at the Top! Never thought to feel this good again! I Know For Sure I Won’t Be Going Anywhere Else!